g is, that after all of this analysis we still know very little. The NFL has turned itself into a 365-day, news-making entity. To best understand and discuss the league, let’s parse it into three major seasons. The months August-February make up the Playing Season—consisting of pre, regular, and postseason games. As the playoffs and Super Bowl wind down, the league transitions into its Evaluating Season. Evaluations begin with the Senior Bowl, shift to the combine, and culminate with the NFL Draft. Let’s say Evaluating Season runs from January-April, as teams not in the playoffs can spend extra resources on early talent scouting. The third part of the pie is Summer Camp. This contains OTAs, minicamps, and private workouts—Summer Camp lasts May-July. So, if we look at the NFL in a calendar year, its seasons transition from College, to Summer Camp, to Playing. Evenly spaced headline generators to keep the media cycle churning. Evaluating Season is, by far, the most hilarious time to follow the National Football League. Teams have 3-4 years of game footage to scout players’ in-game abilities. They also have a backlog of coaches, advisers, and professors to give insight on players’ work ethics and personalities. Yet, such resources pale in effectiveness to the NFL combine. In-game play is cast aside for 40-yard dashes and bench press competitions. Wonderlic scores are valued over diplomas. The combine can render a draftee’s past achievements obsolete—for better or worse. However, the combine is merely a warm-up for how seriously the Shield takes itself. 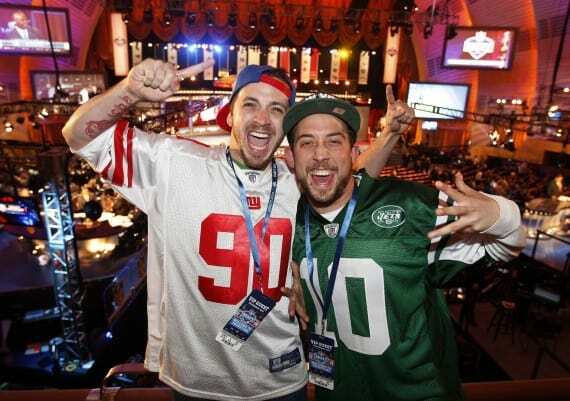 The National Football League Draft: high comedy in the world of professional sports. When watching the draft, I often wonder if the NFL realizes how silly the production is. Think about it: 72 hours of coverage devoted to kids no older than 23. Dozens of prognosticators break down every facet of the draft. We learn why a team wants to trade up, why a team stockpiles picks, how much given players can run/lift/jump, and players’ personal histories. We hear the crowds boo, see the commish navigate elaborate handshakes, and instantly cheer/boo our teams’ choices. 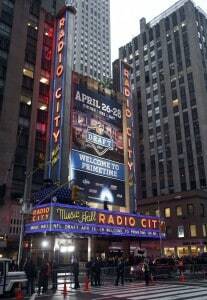 Second to the Super Bowl, the draft is the NFL’s most opulent event. And yet, for all the fanfare, how much of the draft really matters? How many teams “get it right.” Executives willingly acknowledge that drafting is an inexact science. If there were a perfect model, all teams would use the same methods. Instead, every franchise has its own golden recipe. Wishful teams lay down millions of dollars to recruits, with the hope that the players will perform well on the field. They pay for the possibility of success. At its core, the NFL draft is three days of bloviated speculation. A team does not win or lose based merely on its draft. Why then, hold a three-day gala that for something that yields not tangible results? Because the NFL can. The draft is merely a party held for the best reason of them all: to party and to glorify itself. I love the Shield’s media extravaganzas. The league tips it cap, winks its eye and says, “We know you love us. We love us, too.” In television, networks save up their best and most provocative episodes for Sweeps periods. It’s no accident that the NFL draft happens each year during the first week of Sweeps. When kicking back this weekend and digesting all the fanfare, try not to get too high or low on your team’s picks. Remember: they don’t matter. We won’t know how our teams did until a few years down the road. Instead, take a second to marvel at how the NFL has made us all so passionate about something so inconsequential. Then get ready for the next season. Evaluations are over; see you at Summer Camp.